Product prices and availability are accurate as of 2019-04-21 22:51:44 UTC and are subject to change. Any price and availability information displayed on http://www.amazon.com/ at the time of purchase will apply to the purchase of this product. You want a little adventure in your life. And why not? With thousands of breweries and distilleries in the United States, there are more choices than ever on tap and behind the bar. So many, that you’re a little bit intimidated. 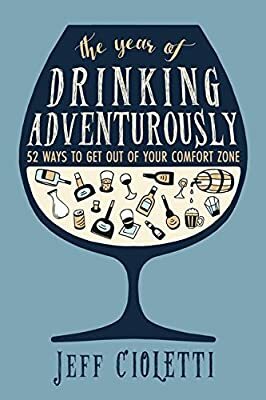 But throughout the course of a year you can learn to impress your friends by becoming a pub savant with The Year of Drinking Adventurously, a guide to getting out of your beverage comfort zone once a week for a year. Each of the fifty-two chapters features the story behind a unique beer, spirit, cocktail or wine, designed to broaden your drinking horizons. Some correspond with specific seasons or holidays, encouraging you to forget the million-dollar marketing-supported “conventional wisdom” and drink against the grain. It’s Cinco de Mayo? There’s much more to the celebration than lime-enhanced lager and shots of rotgut tequila. St. Patrick’s Day? Do you really want to be the 700th person of the evening to order a green-tinted brew and a shot of cheap whiskey? 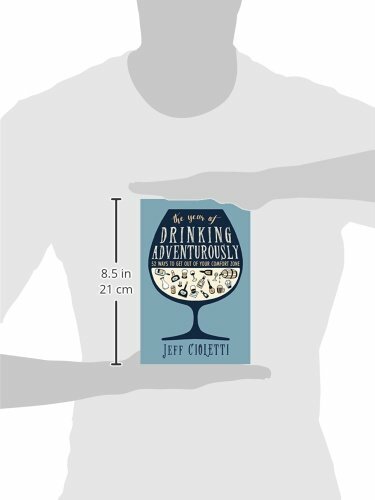 The Year of Drinking Adventurously takes the social imbiber on a journey into the exciting and unknown?one week at a time.